As another year comes to an end with the promise of a new beginning in 2018, we think our readers could do with some inspiration in their e-learning programs by using videos. Here are some of our top picks in learning videos that inspired us in 2017. A winner of Training Magazine’s Top Training Video (TTV) Awards 2017 in the in-house category, this video titled Celebrate! Change Your Lens, Change Your Life is no doubt a brilliant example of a learning video. Change is inevitable and a necessity for organizations to stay current and competitive. But often, employees resist change and are unwilling to change their perspective or look at a problem from a different perspective. In this learning video from Star Thrower Distribution, National Geographic freelance photojournalist and America’s top photographer Dewitt Jones, transports us to the beautiful island of Molokai, Hawaii. Through the analogy of a camera lens, learners are taught to be more open to change and be willing to change their perspective. If you are looking to motivate employees, inspire them to accept change, be innovative, solve problems at the workplace, or simply get better at work-life balance, this inspirational video is a must-watch. The United States Automobile Association (USAA) produced this video in-house to train its employees on ethics compliance. Recognized as one among the world’s most ethical companies, USAA educates employees on what would be considered a conflict of interest at the workplace. This video won the 3rd prize in the in-house category, in TTV Awards 2017. What makes this video interesting? A lot of creative thought process has gone into this video. A dull topic like compliance was transformed into an interesting learning video. The storytelling strategy used in the video has learners hooked. The black and white theme that’s followed, reminds one of an old detective movie. This video also proves that you don’t need to have a big budget to produce a great training video. BNSF Railway – Approaching Others from IronMule on Vimeo. This video from IronMule Creative talks about the importance of approaching others to make the workplace free of ‘at-risk’ behaviors. 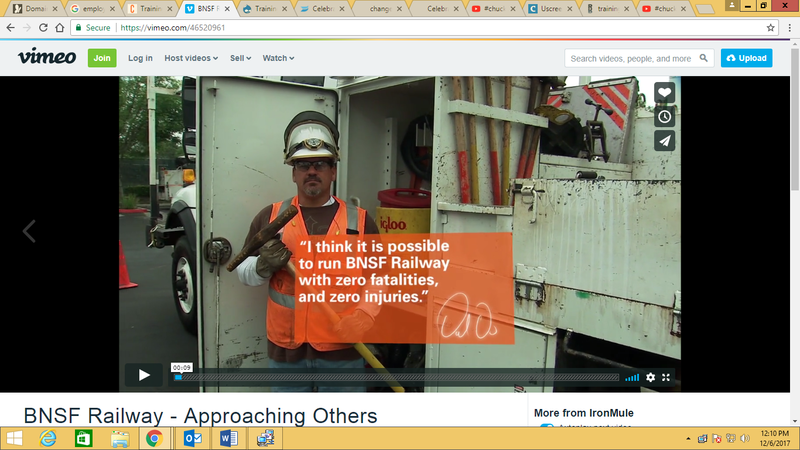 It was designed to introduce BNSF employees to a new safety initiative. The video talks about a 4-step process that can be followed to approach co-workers and educate them on unsafe practices at the workplace. This video featured among the top 3 TTV winners for 2017 in the category of videos produced by professional video companies. It has a realistic take on the BSNF workplace and makes use of real-life scenarios at the workplace. Learners can relate to this video quickly as it emulates their workplace. The next time you are looking for a learning video to impart health and safety training, you could take a cue from this video and try incorporating real-life scenarios to make the training more effective. The people, onscreen text, and inspiring music used in this video convey an emotional message that makes learners aware of the importance of safety at the workplace. The Chuckleheads video from LRN is more than a year old (won the TTV Award in 2016) but continues to trend in the learning space, and here’s why. This learning videos talks about using emails wisely at the workplace. Workplace ethics is something that every employee needs to be aware of and there are times when employees fail to use the resources provided to them wisely. The humor used in the video makes it engaging and entertaining. The scenario shown in the video is hypothetical but manages to drive home the point that it is necessary for employees to follow the ground rules of workplace ethics. The Janitor Story, part of the Crucial Accountability training from VitalSmarts is a learning video that conveys how to bring behavioral changes in a team without conflicts. The video tugs at your heartstrings as it uses emotions to deliver a strong message on behavior. It comes as no surprise that this video topped the TTV award list for training videos in 2016. Corporate training programs could take a cue from this video to convey how an employee’s behavior affects others at the workplace. Except for the one on safety training, all other videos listed in this blog are under 2 minutes, yet manage to convey so much in a short time. You could benefit from microlearning videos to address one learning objective at a time. 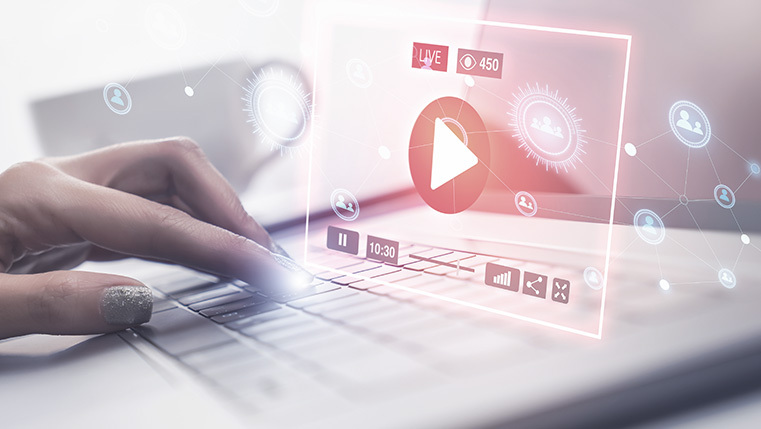 L&D professionals can certainly make use of videos in their e-learning courses to make training effective and interesting. Have you made use of learning videos in your online training programs? If you haven’t, it’s time to get started.